Here's another black cherry soda review for you, and this time it's on Fentiman's Cherry Tree Cola. After awhile the ginger becomes more of an undertone, rather than the kick in the mouth it is initially, but it remains strong nonetheless. 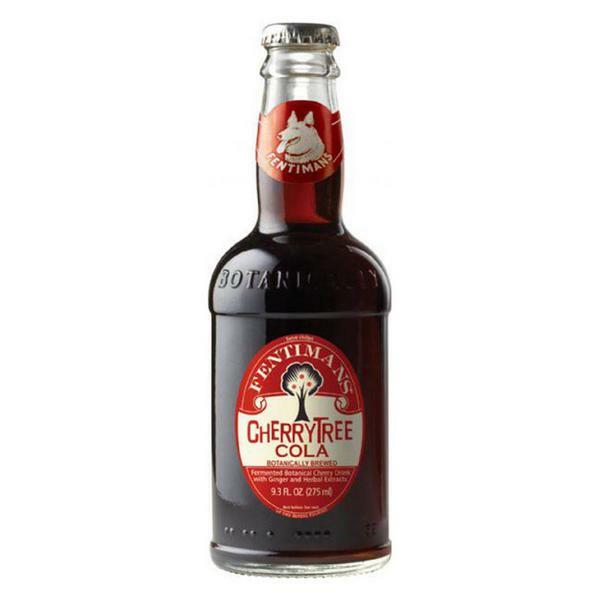 If you want something to drink that is alcohol-free after work or on a hot summer day, in my opinion, Fentiman's Cherry Tree Cola is the way to go because it's certainly a sippin' drink. Botanical brewing is a simple process involving herbs and plant roots. Thomas Fentiman’s original recipe involved milling ginger roots before tumbling them into copper steam jacketed pans and leaving them to bubble and simmer releasing all their flavour. The finest herbs, natural flavourings, sugar, brewer's yeast and fresh spring water were then added to the liquid which was transferred into wooden vats where it was left to ferment. The liquid went on fermenting after it was bottled and corked in the old stone jars where it would fully mature and be ready to drink by the end of the week. Our production processes have been updated through the addition of mild carbonation to replace the carbon dioxide lost during pasteurisation, which gives the product a longer life. As a lover of ginger, I am intrigued by this. Sadly, my local BevMo! only carries the Cherry Tree and Curiosity Cola recipes (the latter of which I will be going back to try very soon). They sound so intriguing, right?! Another factor that sets the company apart? They provide a handy little drink mixing guide for their Cherry Tree Cola, which includes both alcohol-free and alcoholic beverage concoctions. I'm liking this company more and more. Head over to the website when you get a chance to find out if there is a stockist near you, or you can call your local specialty beverage store.